JAMEEL COOK CLEARED ON DRUG CHARGES! Posted in Uncategorized | Comments Off on JAMEEL COOK CLEARED ON DRUG CHARGES! IS IT TOO LITTLE TOO LATE FOR THE ATHLETE? 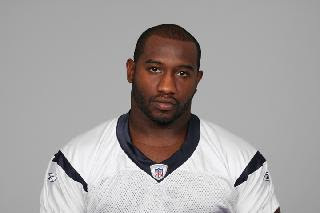 Former Houston Texans fullback Jameel Cook will not be charged with possession of marijuana by the Fort Bend County District Attorney’s office. Cook was arrested in August after a routine traffic stop in Sugar Land when a Fort Bend County patrol officer found marijuana in his car.Cook’s attorney, Chip Lewis, said then Cook did not know the marijuana was in his car. Cook agreed to take a polygraph test at his attorney’s request and passed it. “Based upon the evidence that we have from the officer, and based upon the polygraph exam result of which was administered by an officer employed by the Fort Bend County Sheriff’s office, we believe there is insufficient evidence to show that Jameel Cook knowingly possessed the marijuana found in his car by the Fort Bend County patrol officer,” said John Healey, Fort Bend County District Attorney in an interview with FOX 26Sports.”Not only that, we don’t think he knew marijuana was in his car. We declined to file charges of possession of marijuana.”Cook’s attorney is not surprised at the decision rendered by Fort Bend County.”Mr. Cook agreed to submit to a polygraph test at the law enforcement’s administration,” Lewis said. “He passed it. He also took the drug test that I asked for him, that I provided to the Fort Bend County D.A.’s office. Based on all of that material, I think they made a very informed, considered, and professional decision not to accept charges.”Healey did state that Cook was ticketed for driving with an invalid license, failure to maintain insurance, no front license plate, expired registration and expired inspection sticker.Cook is a free agent after being released by the Texans six days after he was arrested. COUNCILMAN MIKE SULLIVAN HAS A MEETING YOU DON’T WANT TO MISS! 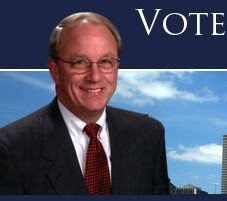 Posted in Uncategorized | Comments Off on COUNCILMAN MIKE SULLIVAN HAS A MEETING YOU DON’T WANT TO MISS! WILL HE HAVE THE ANSWERS TO GET HOUSTON MOVING AGAIN! Council Member Mike Sullivan will chair the first Hurricane Ike Recovery Committee on Traffic Signals and Mobility Thursday, October 2, 2008 at 2:00PM in Council Chambers on the second floor in City Hall. City Hall is located at 901 Bagby Houston, Texas 77002. 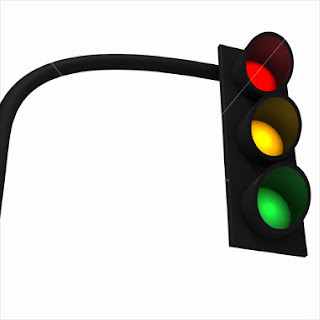 Mike Marcotte, Director of Public Works and Engineering will give a presentation on traffic signals and mobility. Another presentation on traffic control post Ike will be given by Chief Oettemeier of the Houston Police Department. Vice Chair for this committee is District I Council Member James Rodriguez. Other members on the committee include, but are not limited to, District Council Members Toni Lawrence, Wanda Adams, M. J. Khan, Pam Holm, and At- Large Council Members Sue Lovell and Peter Brown. This meeting is open to the public. To sign in to speak, please see speakers sign-in sheet located at press table. WHAT APARTMENT RENTERS SHOULD DO AFTER ENDURING IKE! 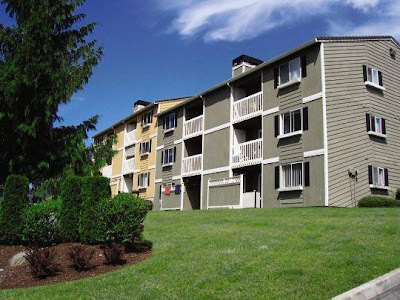 Posted in Uncategorized | Comments Off on WHAT APARTMENT RENTERS SHOULD DO AFTER ENDURING IKE! DEALING WITH THE UNANTICIPATED EXPENSES! Houston Apartment Association (HAA) members recognize the great personal and financial hardships faced by many apartment residents as a result of Hurricane Ike. HAA is working closely with the City of Houston, Public Housing Authorities, the State of Texas, Department of Housing and Urban Development and the Federal Emergency Management Agency to quickly develop and implement workable temporary and long-term housing plans for those residents that have been forced to leave their homes due to uninhabitable conditions stemming from Hurricane Ike.The periods during and after the storm have created unanticipated expenses for many residents. The expenses add to the difficulty for those who are not working due to the lack of power at their workplace, and may not be receiving paychecks.HAA encourages residents who anticipate a problem paying their October 1 rent to contact their managers as soon as possible. We also encourage our member properties to be as flexible and compassionate as possible, recognizing that many owners are also facing unanticipated hurricane-related expenses and inflexible deadlines for mortgage and other payments.In cases where units have been entirely destroyed or rendered physically uninhabitable, HAA members adhere strictly to the Texas Property Code, which allows either the owner or the resident to terminate the lease agreement, and which requires a rebate of pro-rated rent and all deposits, minus lawful deductions, to the resident. In cases where damage is less extensive, our members are working diligently to make repairs as quickly and efficiently as possible. PASTOR CALDWELL TO BE HONORED IN HOUSTON! Posted in Uncategorized | Comments Off on PASTOR CALDWELL TO BE HONORED IN HOUSTON! Families Under Urban and Social Attack (FUUSA) will host its 4th annual “Making Change Happen Luncheon” on Friday, October 10, 2008 (11:30 am – 1:00 pm) at the Junior League of Houston – 1811 Briar Oaks Lane – Houston, Texas 77027. Kirbyjon Caldwell, Pastor of Windsor Village United Methodist Church and community leader will be honored during the luncheon for his commitment and dedication to the service of others. The Making Change Happen Luncheon is designed to acknowledge and recognize supporters, introduce FUUSA’s programs and services to the community and present the Dorothy Ables Making Change Happen Hero Award to the honoree. Each year, this award is presented to an outstanding individual or group who has been responsible for changing the lives of children and families in the Greater Houston Area. The recipient of this year’s award, Pastor Kirbyjon Caldwell, is the Pastor of the largest United Methodist Church in the nation. FUUSA has witnessed firsthand the impact of Pastor Caldwell’s service to the community as his foresight and generosity was instrumental in FUUSA’s phenomenal growth. “It is indeed an honor and a privilege to recognize and honor Pastor Caldwell, an outstanding community leader and advocate for many Houstonians, for his devotion to Making Change Happen in the Houston community. Through his service and leadership, Pastor Caldwell has enriched and enhanced the lives of others” said Rev. Leslie Smith, Founder and CEO of FUUSA. This is FUUSA’s 4th annual luncheon which will help raise funds to support the organization’s mission of empowering families to help themselves. For ticketing information, please contact LeAnna McCowan at 713-374-1284 or lmccowan@fuusa.org. Families Under Urban and Social Attack, Inc. is a not-for profit social service organization with staff that serve adults and at-risk youth in Harris and surrounding counties. Under the leadership of Rev. Leslie Smith, II, CEO and Founder, FUUSA provides: after-school and summer youth programs, mentoring, substance abuse treatment and prevention, HIV outreach and prevention, supportive services to individuals and families in shelters, abstinence education, assistance for families of uninsured children who apply for health insurance, and a variety of other services designed to educate and strengthen children and families. For additional information, contact LeAnna McCowan at: lmccowan@fuusa.org or at 713-374-1284. WE ALL NEED THIS TYPE OF HELP ON OUR JOB INTERVIEW! Posted in Uncategorized | Comments Off on WE ALL NEED THIS TYPE OF HELP ON OUR JOB INTERVIEW! I DIDN’T UNDERSTAND A THING THEY WERE SAYING! 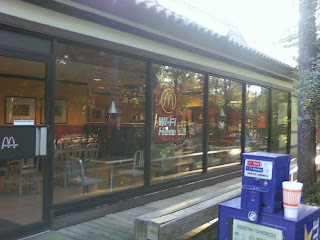 I made a stop at the McDonald’s in the Woodlands Monday morning when I noticed the manager and a job applicant chatting. I didn’t understand a thing they were saying because they were speaking in Spanish. They could’ve been saying, “there’s the dumb Insite spying on us.” But what stood out to me – the manager’s actions. After she asked the applicant a question in Spanish he had a very puzzled look on his face. The manager then took the ink pen out of his hand and then began filling out the application for him. Huh? She would stop and ask a question and then write an answer. The guy did have a social security card and i.d. on the table near his application so I assumed he was here legal. But I didn’t understand why they were speaking Spanish and why the manager was filling out the application for him. We should all have our bosses help in situations like this! CAUGHT DRIVING ON ‘E’ AGAIN WITHOUT A WALLET IN MY POCKET! Posted in Uncategorized | Comments Off on CAUGHT DRIVING ON ‘E’ AGAIN WITHOUT A WALLET IN MY POCKET! CAR: PUT GAS IN ME DUMMY! 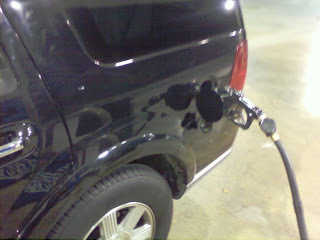 The Insite apparently needs to be hit in the head to remember to fill up the gas tank on the car. 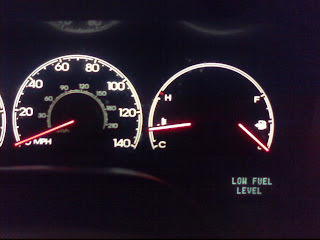 I was driving to the store Tuesday night when I realized I was way past empty. The car was screaming, “put some gas in me dummy.” That would’ve been the right thing to do if I’d remember to load my wallet. I left it at home with my good sense. So with the car on ‘E’ I was stuck about 4 miles from my house. I wasn’t going to chance it because even if I made it back home there was no gas pump in my garage. I decided to start digging. I found $2.45 in my car in spare change. I marched right into Exxon and purchased the gas I needed to complete my journey. I used to keep a spare credit card in the car but took it out just last week on my trip to Louisiana. 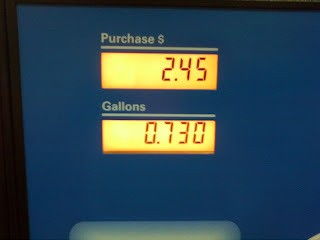 I’ll to pray to make it back to the gas station again in the morning. So if I’m not on the air Wednesday afternoon, you know why! WHAT IN THE WORLD HAPPENED TO KHOU’S CAROLYN CAMPBELL! SHE JUST DISAPPEARED FROM THE AIR! 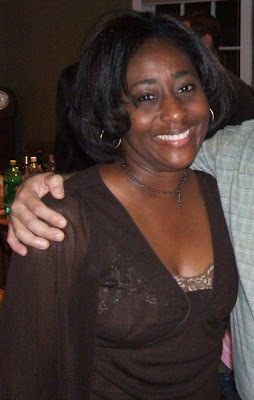 The Insite is hearing rumblings from a lot of Houstonians who are very disturbed that long time Houston reporter Carolyn Campbell has just disappeared from the air. After being on television for more than 20 years some are asking about her whereabouts. But so far no press releases from KHOU about the Houston figure who unceremoniously disappeared. The Insite will keep you updated and provide any new information once I receive it. Remember, news people are just like cops – we all love to give the inside scoop off the record! INSITE RANDOM SHOT: THE ASSISTANT CHIEF OF HPD DOWNTOWN! Posted in Uncategorized | Comments Off on INSITE RANDOM SHOT: THE ASSISTANT CHIEF OF HPD DOWNTOWN! A NEW TIE AND CONVERSATION IN THE MIDDLE OF THE STREET? The Insite caught this shot of HPD Asst. Chief Mike Dirden walking across Travis in downtown Houston. It was just across the street from HPD’s headquarters. He actually stopped and gabbed for a second with someone in a car. He didn’t actually hold up traffic but I wanted to yell, “hey Chief, stop blocking the flow.” Needless to say, I didn’t do that in fear of being arrested. The Chief also had a tie in his hand. Not quite sure if it was a new tie from the nearby Macy’s or if it was just a spare tie like the Insite has in my car. Hey Chief, thanks for unknowingly dropping by The Insite. By the way, Chief Dirden is currently listed as head of HPD’s Criminal Investigations Command! LOOK WHO’S REGISTERED TO VOTE AFTER MADD HATTA GETS INVOLVED! Posted in Uncategorized | Comments Off on LOOK WHO’S REGISTERED TO VOTE AFTER MADD HATTA GETS INVOLVED! A LONG LIST OF CELEBRITIES ON THE VOTING ROLLS! Here is a list of music and sports celebrities who stopped by Madd Hatta’s voter registration drive today at Sharpstown Mall and either registered to vote on site or got on the air to encourage fans to do so. The support has been great from the entertainment community and they have registered over 1,000 so far. 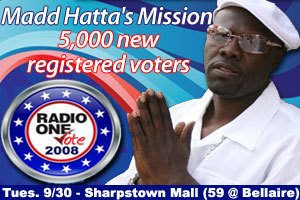 Madd Hatta will be there at Sharpstown all night and broadcasting live. Chamillionaire (Grammy-winning, Platinum artist) – he registered on site and was there all day urging people to come out and register also. Paul Wall – going to register straight from airport. He has been out of town on performance date. IT’S TOUGHT ALL OVER THIS COUNTRY – EVEN IN THE NEWSROOMS! Posted in Uncategorized | Comments Off on IT’S TOUGHT ALL OVER THIS COUNTRY – EVEN IN THE NEWSROOMS! 506 PEOPLE HAVE LOST THEIR JOBS! I was shocked when I received an email from a national journalism group on Tuesday afternoon. Unity Journalists of Color has released its daily job count total and since September 15th – 506 journalists across this country have lost their jobs. It’s an economic indicator of just how bad things are all over. It actually makes The Insite a bit nervous to see just how vulnerable we all are in this tough economic climate. It’s probably why I thank God everyday for my job and ability to work. Are you concerned about the future of the industry you work in? Please leave your comments below! A VERY FUNNY SATURDAY NIGHT LIVE SKIT! Posted in Uncategorized | Comments Off on A VERY FUNNY SATURDAY NIGHT LIVE SKIT! HOUSTON’S PBS STATION BECOMES HOME OF THE BIG SPELLING BEE! Posted in Uncategorized | Comments Off on HOUSTON’S PBS STATION BECOMES HOME OF THE BIG SPELLING BEE! THERE’S A NEW SPONSOR FOR THE BIG COMPETITION! How do you spell exciting? B-E-E! HoustonPBS/Channel 8 is the new home of the Spelling Bee! When the Houston Chronicle decided to discontinue its sponsorship of the Scripps National Spelling Bee, it recommended HoustonPBS as the new sponsor. We are excited for this opportunity and proud to continue the tradition and level of excellence that the Chronicle established,” said John Hesse, HoustonPBS General Manager. HoustonPBS is the first public broadcaster to participate in the Scripps National Spelling Bee, the nation’s highest-profile academic event. The exciting addition this year is that, for the first time, the regional finals will be televised live from the HoustonPBS studios on Saturday, March 28, 2009. The HoustonPBS Spelling Bee is open to all students, in forty-two Texas counties from East Texas to Austin, up to 8th grade. To enter, public, private, parochial, home and charter schools must enroll with the Scripps National Spelling Bee by the October 15 deadline. Schools register at www.spellingbee.com. The HoustonPBS Spelling Bee Champion will compete in the Scripps National Spelling Bee in Washington, D.C. with an all-expenses-paid trip for two to Bee Week. Last year’s national champion won over $35,000 in cash and prizes. The purpose of the Spelling Bee is to help students improve spelling, increase vocabularies, learn concepts and develop correct English usage that will help them all of their lives. 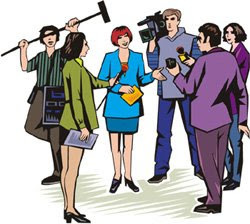 Bee participation also provides valuable experience in developing poise – a necessary skill for public speaking, performing arts, and athletics. 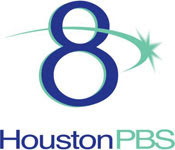 HoustonPBS/Channel 8 serves to empower, engage and enrich the lives of the people of Southeast Texas. HoustonPBS provides content and services that advance civic engagement, create an environment for learning and encourage the exchange of diverse perspectives. Millions of people tune in each month to watch quality programs about culture, arts, science, news, national and world affairs as well as award-winning children’s programming.